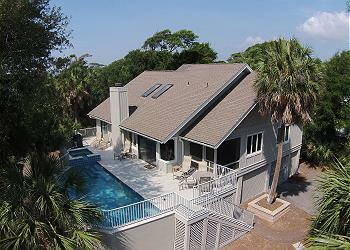 Sea-blue beauty is just a few sandy steps to the beach with mesmerizing ocean views from the wrap around deck! This newly updated island getaway has a private *heated pool, a fenced yard for your four-legged best friends, and is directly across the street to the beach. Plus a new, shaded Tiki bar is steps from the pool and has a refrigerator, ice maker, and HD TV. Inside, the main living space flows openly from the living room to the dining room and into the kitchen. Right off the kitchen is a private screened in porch–the perfect place to put your bare feet up and relax along with the sea breeze. When it’s time to call it a day, there are 3 king bedrooms one of which is a large master suite with private bath. 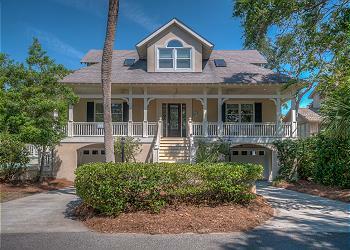 Enjoy the ultimate island life all just a short bike ride to popular Coligny Plaza. •	Private *heated pool (15 x 30) *This pool has a gas heater and can be heated for an additional fee of $575-$875 + tax per week depending on the season. 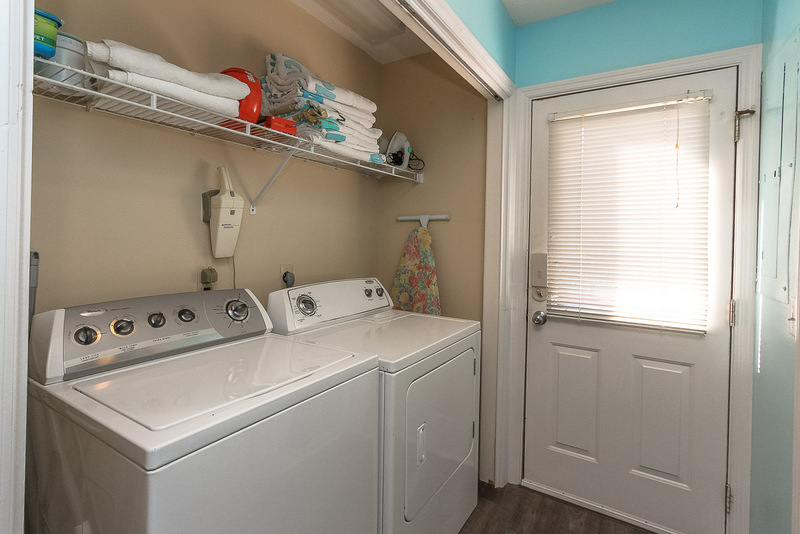 •	Pet Friendly - *This house is dog friendly (no cats) with a $300 non-refundable pet deposit plus tax for one dog - Please inquire when making your reservation. Certain restrictions do apply. The owner allows up to 2 dogs. The non-refundable pet deposit for two dogs is $450.00 plus tax. Our group of 7 adults and 2 dogs stayed for 4 nights at the 8 Osprey property. 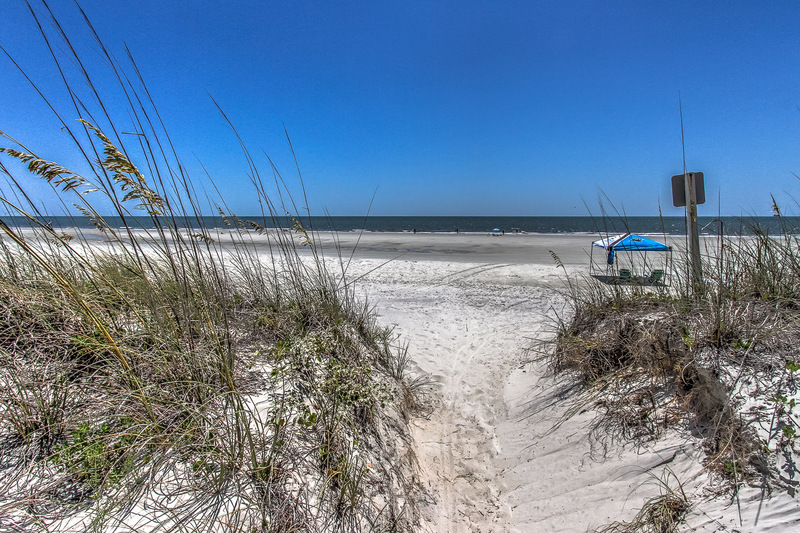 The location was great, 2 minute drive to Coligny (shops, stores, etc) The beach was as close to this "second row" home as it is to many "oceanfront" properties. Everything that was supposed to be supplied, was. The only thing not working was the t.v. in the tiki area by the pool. This was thanks to water damage from Hurricane Irma. The vacation company staff was very attententive and sent someone out to check the tv very quickly. We very much enjoyed our stay!